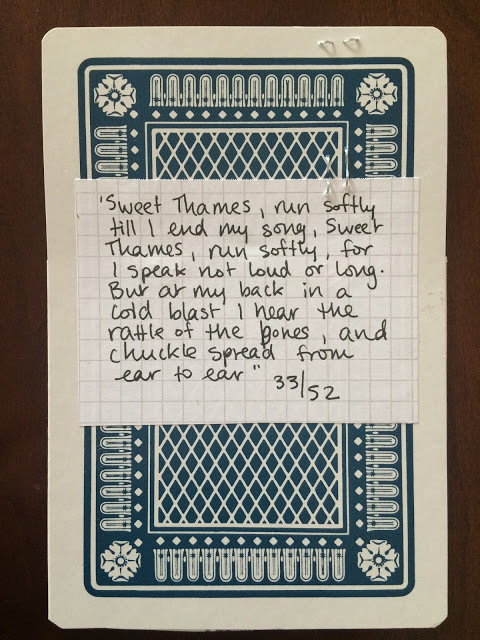 This week continues with the recurring line ‘Sweet Thames, run softly’. 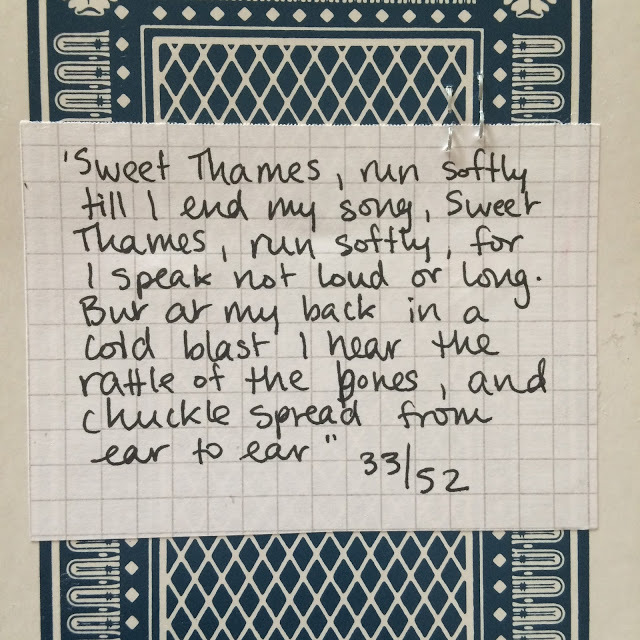 The conclusion to this part of the poem is slightly more…terrifying! The chuckle spreading from ear to ear…oh my! That conjures up a lot of dark visions to me. Clearly, the card had to show this fearsome vision. 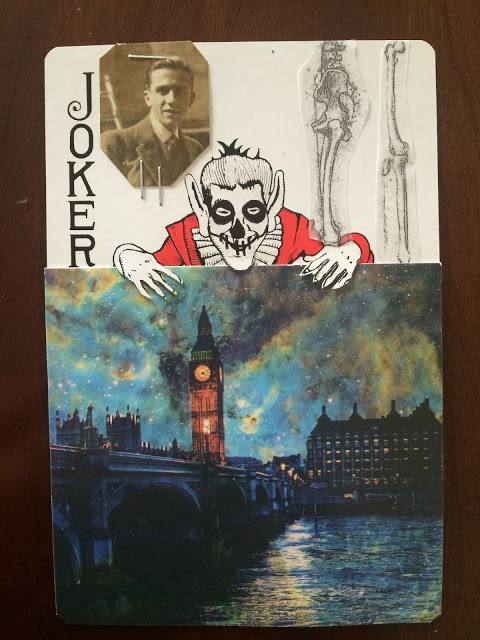 So naturally, I picked a Joker card for this week. That postcard was in one of those free ephemera displays you see in cafés. Funny that I should find Big Ben in Beijing! Sweet serendipity I say. I love that the Thames is dark. What is lurking under the bridge? 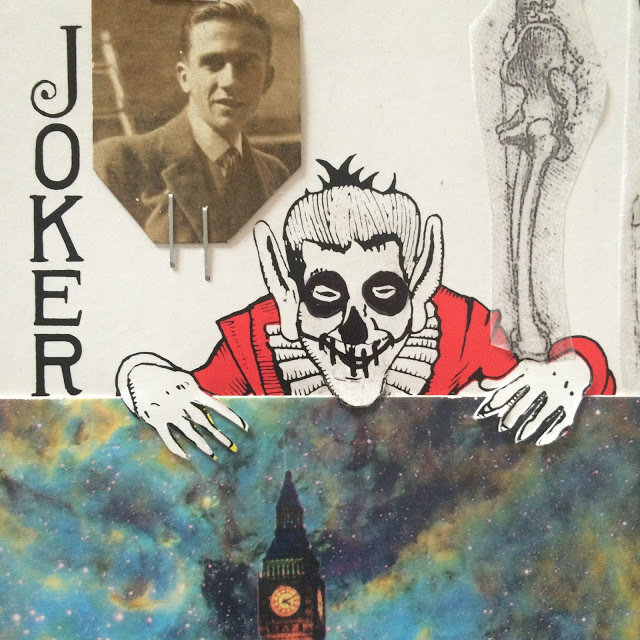 The Joker was already creepy, it was easy to make him just a little more so. And who is that handsome fellow? Is he the one chuckling? Thank you for joining me. This project is my heart project for 2016. I love it and it very much inspires me.